With a surface of nearly 1.1 hectares (nearly 11 000 square meters), this green space is home to many animal and plant species, and its conservation will protect the habitats of vulnerable species and species of special interest. The status of Nature Reserve attributed to this territory, which has been owned by the Oratory since the 1940’s, allows the preservation of this wooded area’s integrity and natural character, as well as the maintenance of its biological diversity. 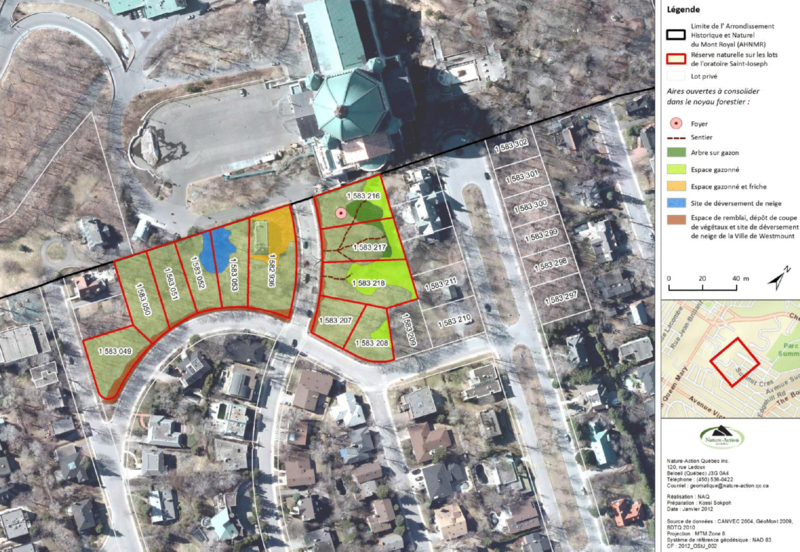 It is the result of consultation with several partners, including the Québec Government, the City of Westmount, Les amis de la montagne, the Bureau du Mont-Royal and Nature-Action. The Père-Louis-Trempe Nature Reserve was inaugurated on October 31, 2014 − Consult the – press release.